Regular readers probably know that I have my moments where I might be considered a bit of an oddball, especially when it comes to my borderline-obsessive love of fruit cake. It hasn’t always been that way though. When I was younger I would have a couple of pieces from the overflowing tray of treats passed around the table at Christmas, and I’d be set for the year. But it was in my body’s rejection of gluten a decade ago, that I had to stop all foods involving wheat flour including fruit cake. For something that I only ate once per year, it wasn’t a catastrophic loss, but with each passing Christmas after that, I grew to miss the tradition that much more. I also grew to appreciate it as one of life’s simple pleasures at the most wonderful, most festive time of the year. 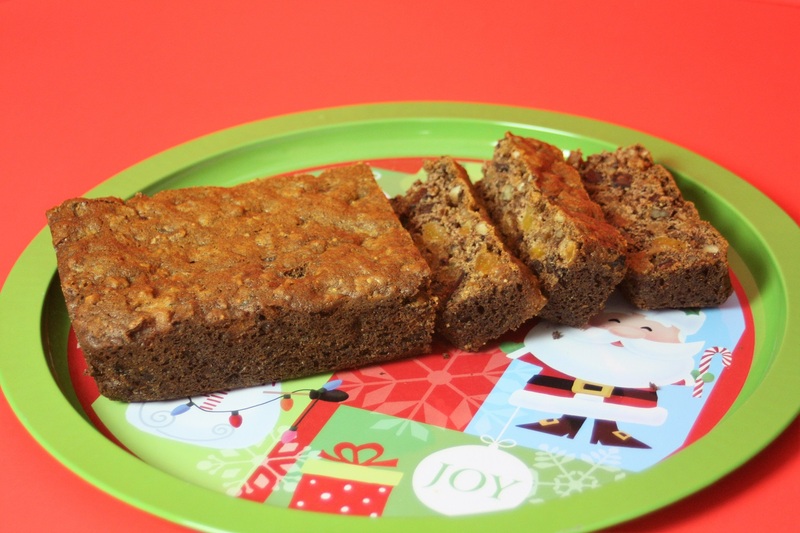 A few years ago, I even wrote a poem about my hunt for the perfect gluten-free fruit cake. It wasn’t easy. The hunt, not the poem. Around here, not a lot of stores sell gluten-free fruit cake and for the ones that do, I found the experience to be a very pricey one and sometimes a disappointing one. I remember one in particular that lived up to all of the hype and negative connotations about heavy and dry fruit cakes, and added a few more.